Here is a small army of women typesetting the Chicago Daily Tribune on November 25, 1947, using VariTyper typewriters. 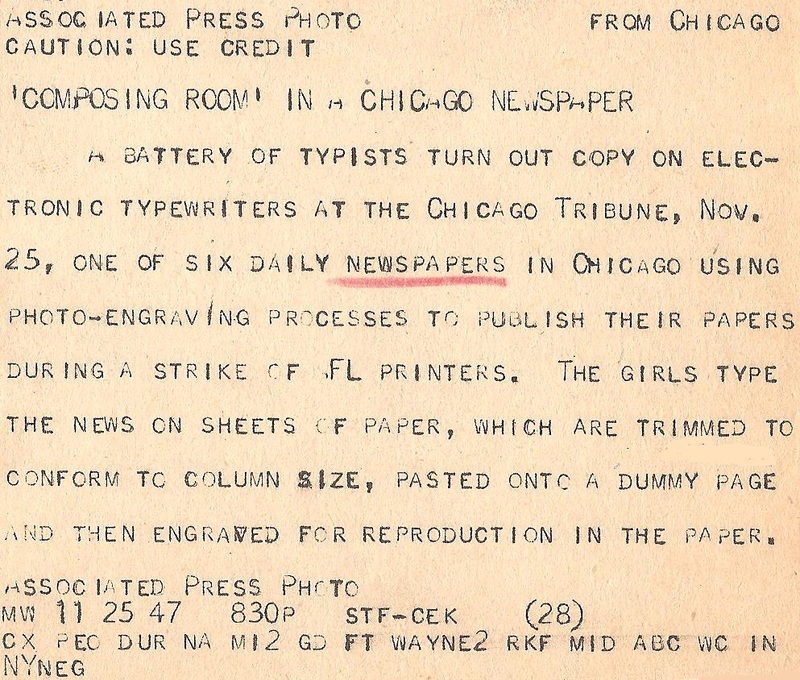 This was the second night of a 22-month-long printers strike, which meant the Daily Tribune could not be typeset on Linotype machines. 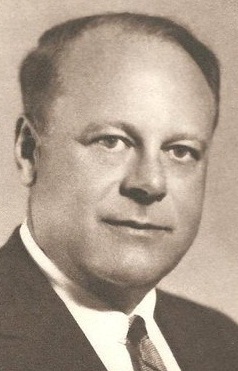 This quotes from a Time article of 1948, which looks at Oakland-born Richard Cramer Coxhead (below), his development of the VariTyper and the typewriter’s use in various newspapers during the late 1940s printers strikes. 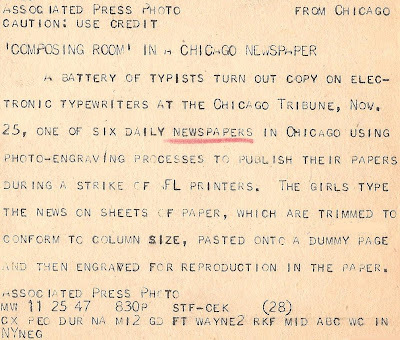 “In 1947, typesetters went on a 22-month strike against the Chicago Tribune and other Chicago dailies. 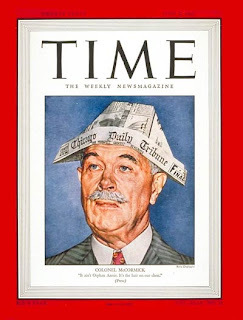 The [newspapers] maintained publication by using photoengraving. 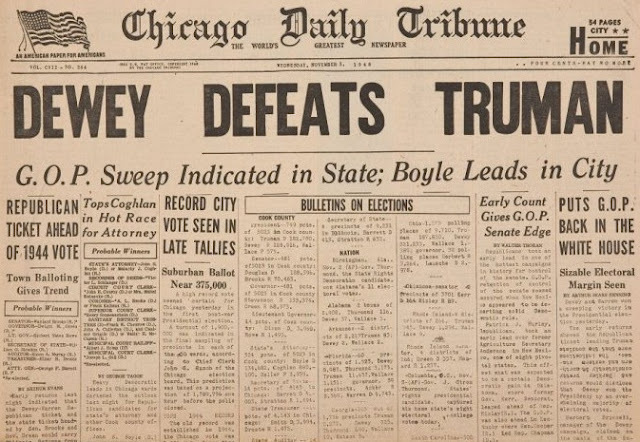 “While the strike was on, the Tribune printed their famous mistake headline “Dewey Defeats Truman” in the early editions of the November 3, 1948, paper." 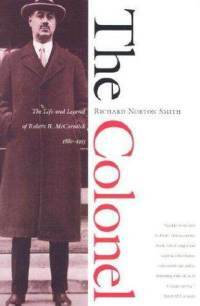 David checked out Richard Norton Smith’s biography The Colonel: The Life and Legend of Robert R. McCormick (1997) and quoted from it: “McCormick hadn't the stomach for personal confrontation, at least not at this stage in his life, but that didn't mean he was unprepared for a strike or reluctant to engage in a test of wills with militant union leaders. 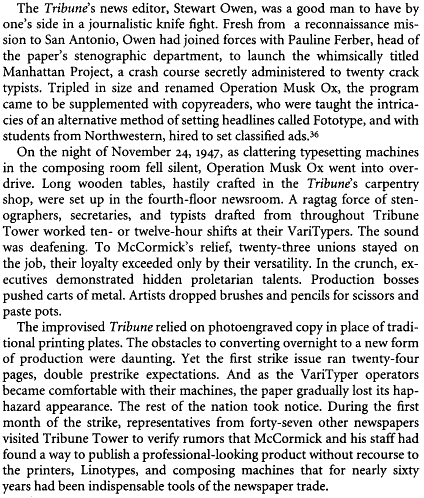 Hidden away from the ITU was the Tribune's secret weapon: the VariTyper, an ungainly machine that produced columns of identical type in a typeface corresponding to the familiar Linotype process. 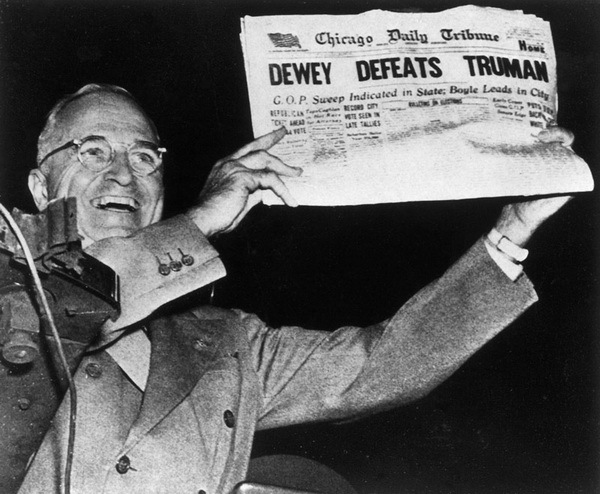 David adds that “later in the book, the strike's impact on the Dewey Defeats Truman debacle is discussed at length. Because of the new production method, it took two hours to get something into the paper. So, on election night, the Trib composed their first editions even before the polls were closed. That's a wonderful shot of all the "girls" at the Varitypers, some of them laughing with each other. I wonder why the photo caption calls them "electronic" typewriters. As you know, Robert, typewriter composition is one of my favorite topics. I've never had the chance to use a Varityper, but I think it would be great fun to use it for all my desktop publishing needs. Hi Bill. Thank you. 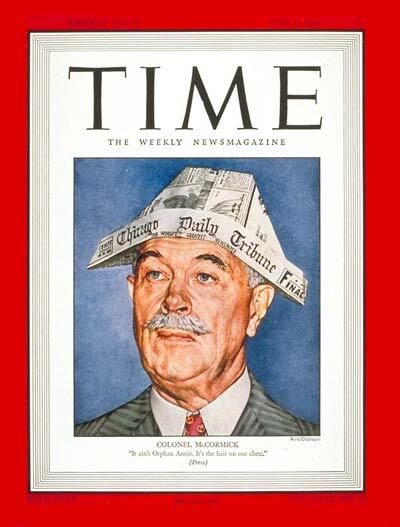 I am hoping in the next day or two to get hold of the 1947 TIME article on McCormick and the strike, and will add that to my post. Hi Richard. 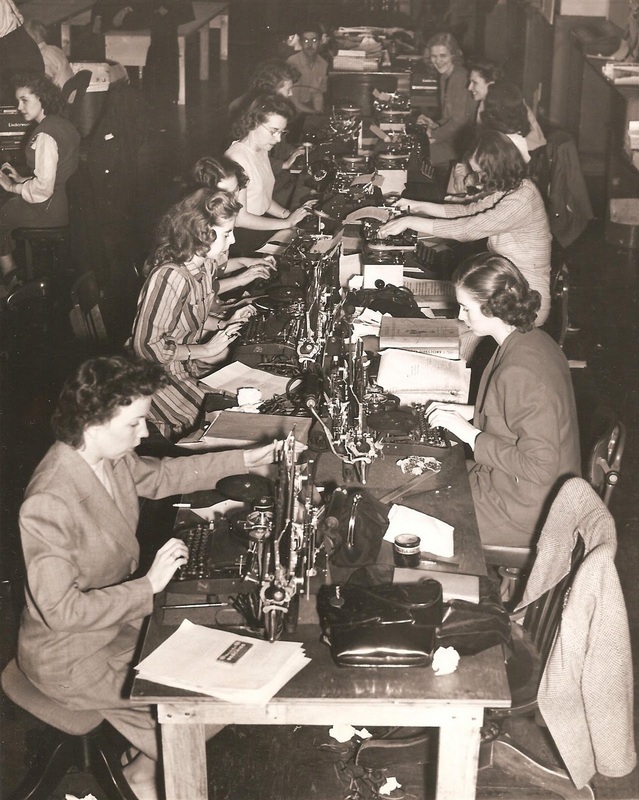 Yes, I agree: There would have been much excitement among the "girls" that they were involved in actual production and ensuring the paper got out. 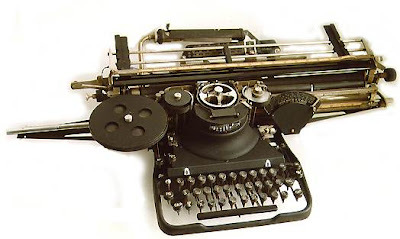 But, referring to the previous post, on the Dvorak keyboard, it must have been a case of teaching "Old [sic] Typists New Machines" - I liked that NYT headline! I do vaguely recall new electrically-driven gadgets being referred to as "electronic" in the later 50s. 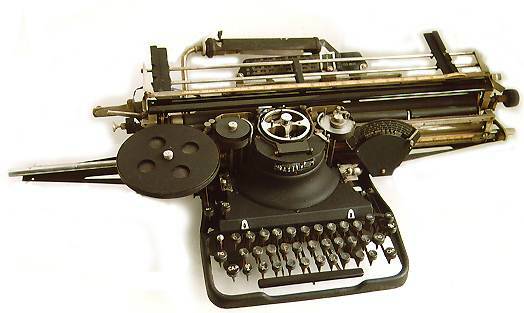 Hi Ryan: Yes, I was thinking of you, and your interest in typewriter composing, when I posted this. I hope you liked the AP image of the "girls" as joyful compositors. Compositing wasn't, in truth, anywhere near as much fun as this. The fun part of comping was the mystical rites of indenture (jobbing black and nether regions? ), membership of the NGA and certain knowledge that you had a job for life. That was always the feeling I got in the comping rooms of newspapers - and from ex-comps who went into litho sales. And I I remember standing on Stockport railway station reading the launch edition of Eddie Shah's 'off Fleet Street' non-union photoset paper Today. Dark days for the union movement in the UK but in my opinion this progress was bound to happen and was a good thing. With less complacency, the unions would have been a little more enlightened and far-sighted. And I say that as a socialist and the son of a shop steward - though dad was not in the printing trade. I seem to have gone off on one there. Love the rant, Rob. Nice one. Newspaper apprenticeship rituals were rife here and in NZ, too, of course. For me it was first day, my name, set in hot metal and immediately placed in my hand. And what about the length of the long weight? In this country, the PKIU was similarly not so much blindsided as short-sighted, and it died as a result. Still, given what appears in newspapers today, in the face of universally falling sales, I can't agree it was a good thing. I strongly believe the input of copytakers, proof readers and compositors into the final "product" is still being sorely felt. It came down to Murdoch-style profit-making without any real desire to understand what electronic typesetting would ultimately produce. It was a just means of getting rid of workers.